The world of terminals is amazing and it is fun to make it look beautiful. But sometimes it becomes very hard to make it look the way we want. I you have created Command-Line Apps using Node.js, you might have definitely heard of Signale, Hackable Console Logger. But this doesn’t help when using Python as it is a Node.js Library. 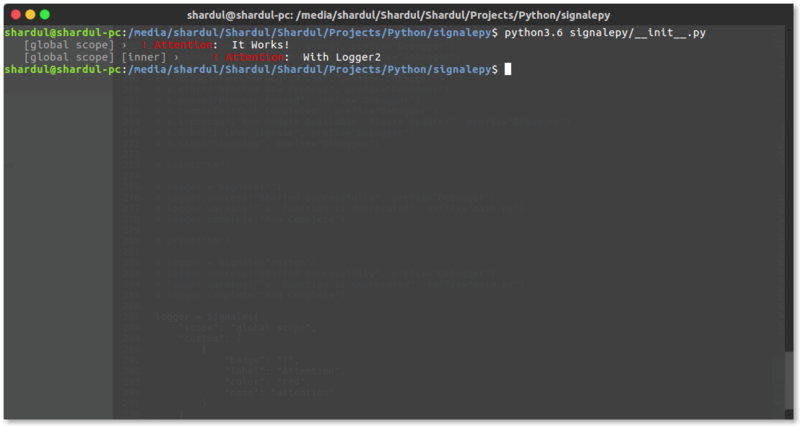 So, I decided to make a better clone of Signale for Python named Signale.py. 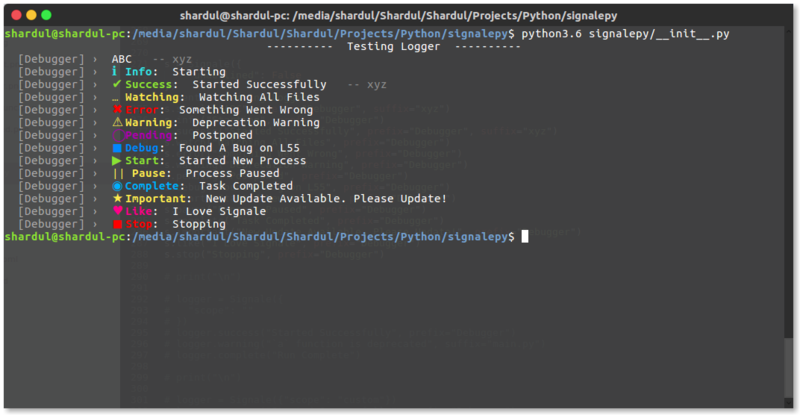 Signale.py is a Elegant Console Logger For Python Command Line Apps with a total of 15 types of logs and also supports scopes and custom loggers. It is a Open-Source Project licensed under the MIT License. Some examples o how the logs look are in the picture above. 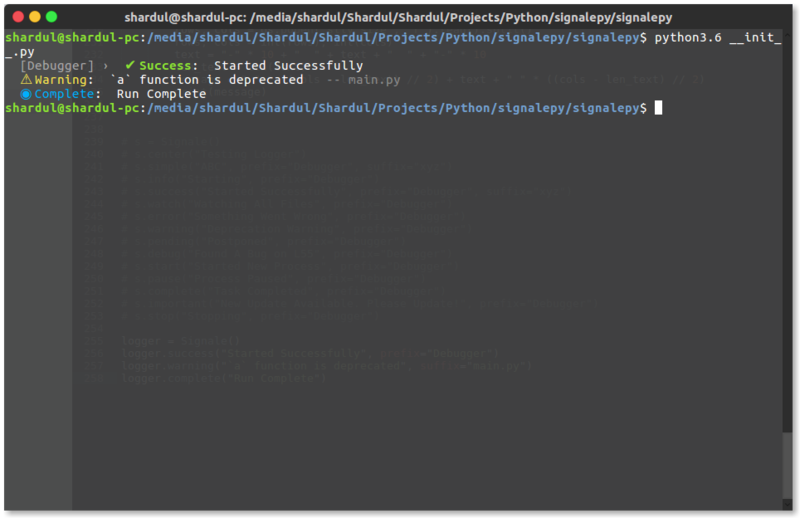 Signale.py is available on PyPi so to install it just run the following command in you terminal. Note: You need Python and Pip installed and available on PATH Environmental variable. This is a small tutorial for using Signale.py but to know more see its github repo. I thank you all for reading and taking interest in my article. If you liked my project please like it on its repo and contribute.